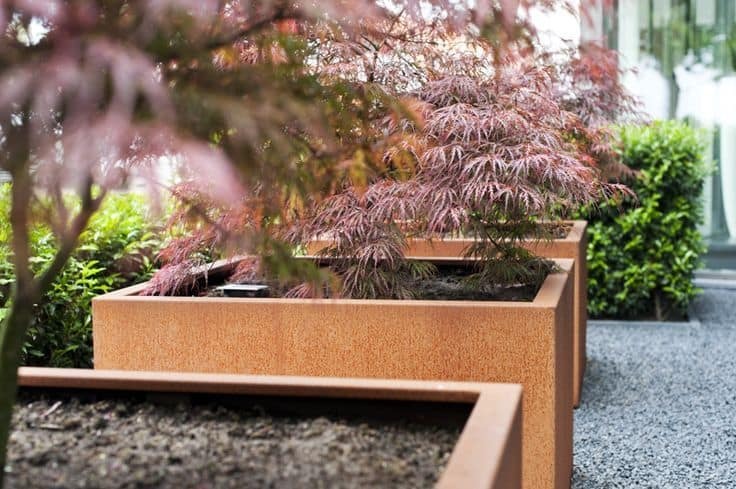 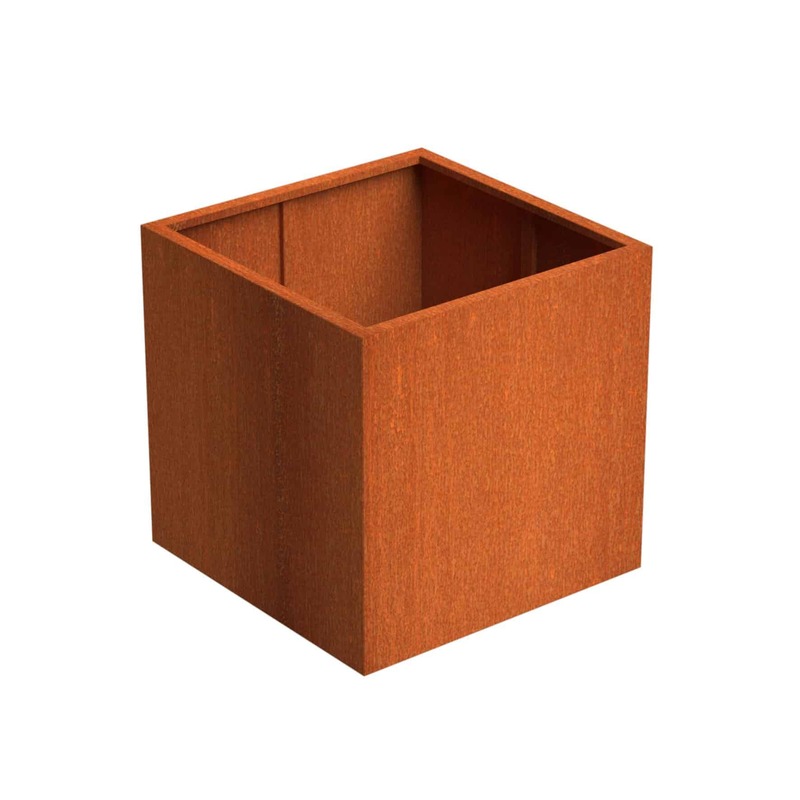 This Corten Steel planter brings a radical change to the Adezz corten range of planters. 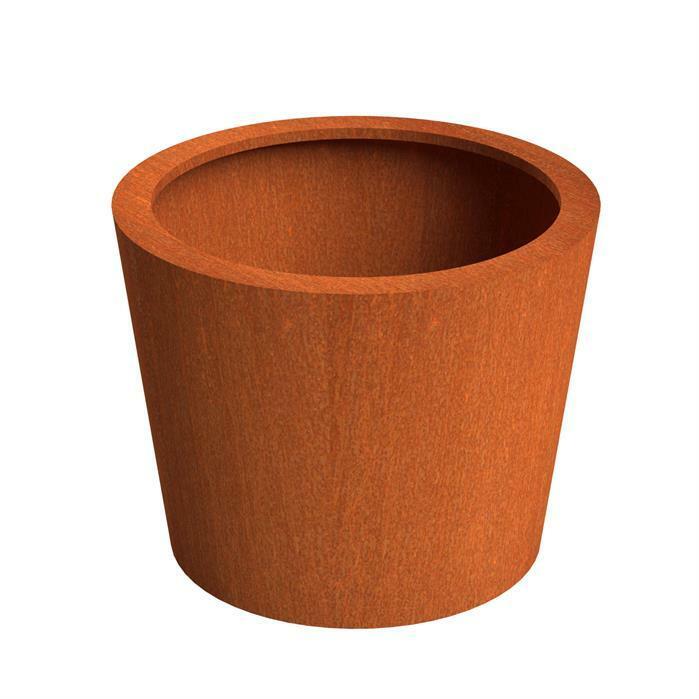 Ergonomically designed they will bring a softer approach to your landscaping design. 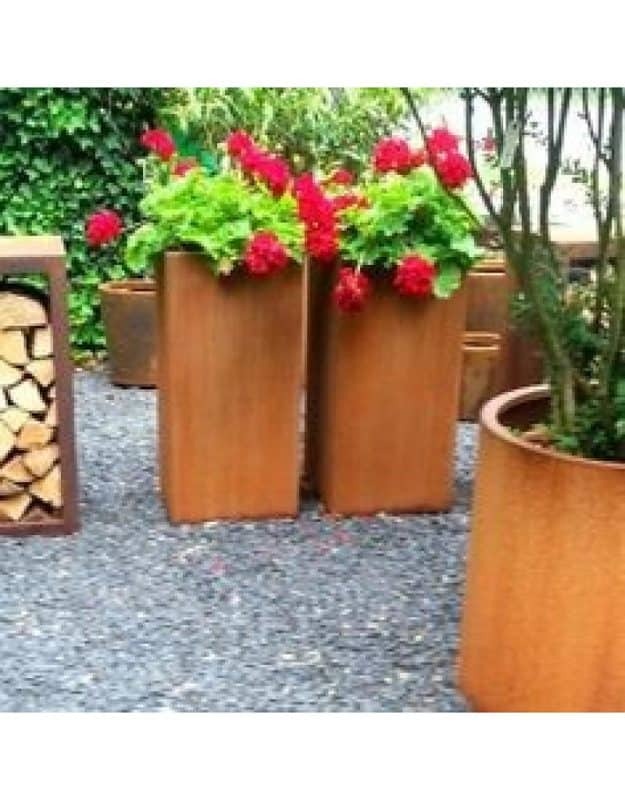 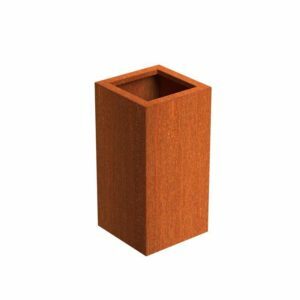 When your planter arrives it will depending, on when it was manufactured will be the colour of freshly manufactured steel, with a dark oily coating or in a stage of patina. 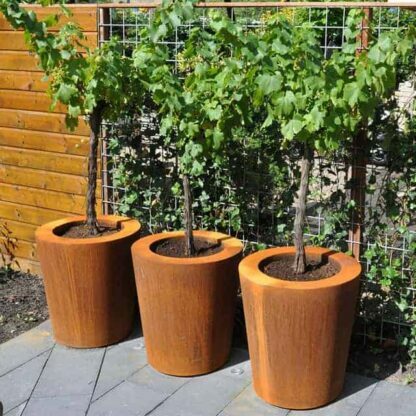 Your planter will begin to change colour, during this stage – the ‘run-off’ may stain stone or concrete surfaces that it comes into contact with. This simple cube is a design with a great deal of utility. It can be placed as a centrepiece or can be used as part of a set, placed up against a wall or a fence. 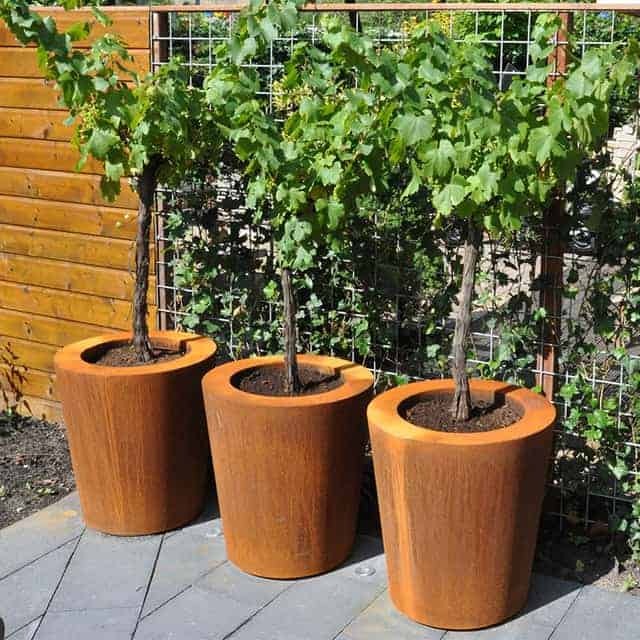 Tower planters are particularly popular for creating artificial columns by planting them up with tall shrubberies like lollipop bay trees. They are ideal for flanking doorways or garden paths and are best installed in pairs.